Today, Qualcomm Technologies, Inc., a subsidiary of Qualcomm Incorporated (NASDAQ: QCOM), demonstrated advanced 5G technologies for the next phase of the global 5G New Radio (NR) standard being developed by 3GPP. Following the recent completion of the first 5G NR standard to accelerate enhanced mobile broadband deployments starting 2019, 3GPP has approved various technology studies that are expected to define the next phase of 5G NR in Release 16 and beyond. 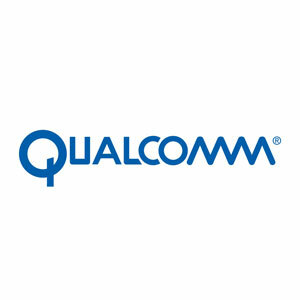 The Qualcomm Technologies’ demonstrations, which occurred live at an event in San Diego on February 7th, showcase the Company’s continued leadership in developing the foundational 5G NR technologies that helps drive the evolution and expansion of the mobile ecosystem. The demonstrations are expected to be on display in the Company’s booth at Mobile World Congress in Barcelona later this month. Among the demonstrations, Qualcomm Technologies showcased a live over-the-air demonstration of 5G NR spectrum sharing technologies. The use of 5G spectrum sharing technologies is expected to bring higher levels of mobile broadband performance to unlicensed and shared spectrum, as well as play an important role in extending 5G into new types of deployments such as private networks for industrial IoT. The demonstration showcased advanced spatial domain spectrum sharing technology that relies on Spatial Domain Multiplexing (SDM) and Coordinated Multi-Point (CoMP) concepts. This is designed to deliver higher network capacity and user throughput, through tighter coordination among users of unlicensed and shared spectrum bands. The demonstration utilized the previously announced Qualcomm Technologies 5G NR spectrum sharing prototype system, which is also designed to support testing of 5G NR operation in unlicensed spectrum, both licensed-assisted access (LAA) and standalone operation without a licensed anchor, also known as 5G MulteFire™. Qualcomm Technologies also showcased an industry-first demonstration of a wireless PROFINET Industrial Ethernet over 5G NR. Private 5G Networks for Industrial IoT are an important area of focus for the next phase of 3GPP 5G NR. The ability to run Industrial Ethernet over a wireless network facilitates reconfigurable factories—a key concept of Industry 4.0—to increase productivity and flexibility. The demonstration previews new use cases for 5G NR ultra-reliable low latency communication (URLLC) sub-millisecond latency, including the ability to run precise command-and-control for high-demand factory automation applications. In addition, Qualcomm Technologies highlighted the role of 5G NR-based Cellular Vehicle-to-Everything (C-V2X) technology in autonomous driving, by showcasing how the technology is designed to help the vehicle communicate its intentions, thus supporting the level of predictability needed for advanced path planning. 5G NR-based C-V2X is engineered to augment existing C-V2X technology with complementary capabilities, bringing in high throughput and URLLC capabilities, while maintaining backwards compatibility, which are needed to support advanced use cases for autonomous vehicles, including high throughput sensor and intent sharing, and 3D HD map updates. These 5G NR demonstrations and more are expected to be on display at Mobile World Congress in Barcelona from February 26 through March 1 at Qualcomm Technologies booth in Hall 3, Booth 3E10. For more information on these demos or the Company’s efforts on 5G NR, please visit www.qualcomm.com/5G.